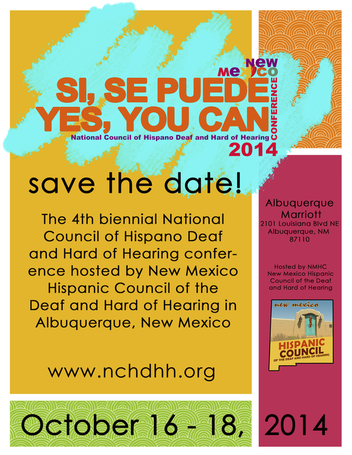 4th Biennial Conference: "Si, Se Puede"
Are you interested in presenting at the 2014 NCHDHH Conference? 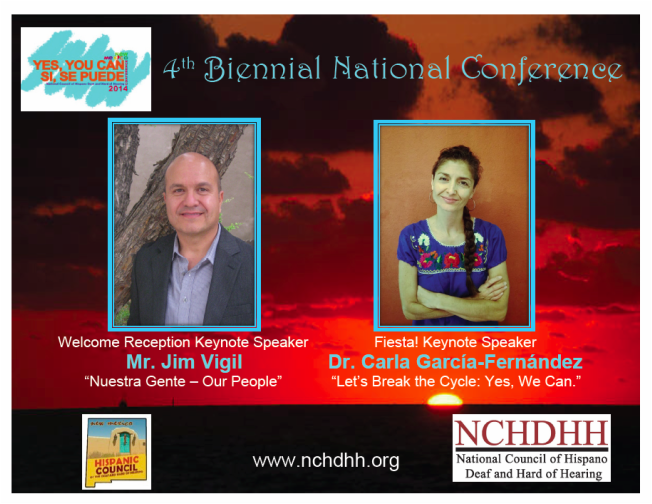 Please contact Cheryl Padilla at workshops@nchdhh.org if you have any questions. RID CEUs and DARS DHHS BEI CEUs will be provided at the 2014 NCHDHH Conference. 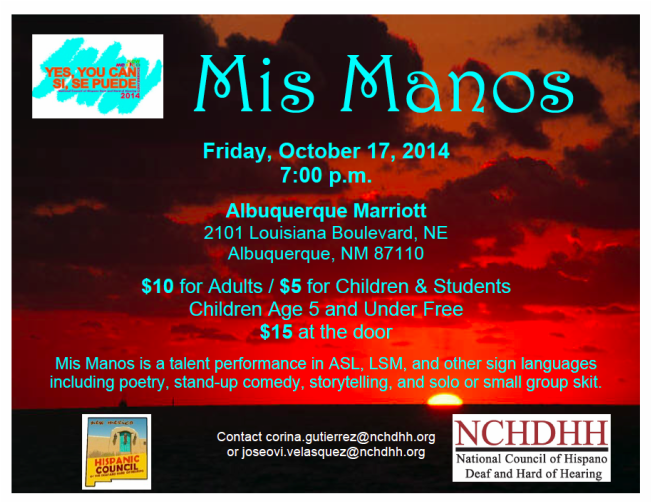 Please contact Alberto R. Sifuentes at ceus@nchdhh.org for more information. New Mexico's official state nickname is the "Land of Enchantment" describing New Mexico's rich history & scenic views. New Mexico's official state symbol is the Zia, symbolizing the red sun and yellow sunrays in four directions. New Mexico's official state gem is Turquoise, known for its unique hue and blue to green color. "Nuestra Gente - Our People"
"Let's Break the Cycle: Yes, We Can." including poetry, stand-up comedy, storytelling, and solo or small group skit. Download the ENGLISH version of the program book here. Download the ESPAÑOL version of the program book here.